Eyebrow position plays a pivotal role in facial expression and aesthetics. The brow’s natural proximity to the eyes gives it a significant influence on how the eyes appear. Low set brows can make one appear stern or tired. In this instance, the skin between the brow and upper eyelid can appear bloated and create the illusion of upper eyelid skin excess. Although there are different reasons for this procedure, my patients in Orange County and Irvine seek a brow lift to improve the upper eyelid appearance. 2 How Can I Benefit from this Technique? The brow lift reduces wrinkles and sagging skin that is concentrated in the brow region. Sagging and wrinkling around the forehead may appear as drooping and create an unintentionally tired expression. Drooping eyebrows can add years to your appearance. With the brow lift, the skin of this region is raised and excess skin is surgically removed from small incisions. How Can I Benefit from this Technique? The appearance of the eyebrows and the onset of sagging can be a result of age and skin laxity. Skin laxity, or loose skin, increasingly becomes an issue due to the effects of aging, overexposure to sun, and lifestyle. Drooping, wrinkling, and sagging skin are a symptom of skin laxity. Skin laxity, unfortunately, is very difficult to address or prevent on your own. The development of lax skin may be slowed with proper skin care and reduced sun exposure, but the best results for reversing the symptoms of skin laxity are achieved through surgical treatments such as the brow lift. Most brow lift candidates are healthy adult men and women above the age of forty. Ideally, patients considering a brow lift are non-smokers, have reasonable expectations of their cosmetic treatment, and are dissatisfied with the appearance of hooded, sagging eyebrows and creases on the forehead. There are a number of different approaches to performing a brow lift. The selection of a particular type is dependent on individual anatomy and ultimately one’s goals. The incision starts above both ears, and across the top of the scalp, where the hair conceals it. A small wedge of hair-bearing scalp is excised, thereby pulling and lifting the forehead/eyebrows. This technique is ideal for patients with a low frontal hairline or short forehead. This is my preferred technique. This method uses 2-3 small incisions on the top of the scalp, with an additional incision on each side of the temple. The incisions are completely concealed within the hair and are unnoticeable when healed. An endoscope is sometimes used to aid in visualization through these small incisions and facilitate the surgery. This brow lift is performed through the same type of incision used to perform an upper blepharoplasty. An anchoring device or suture is used to suspend the brow in a higher, more desirable position. The incision is placed at the junction between the hairline and forehead skin. The forehead skin is lifted and the excess skin is excised, thereby lifting the brows. The scar is very well camouflaged by this natural junction of hair and skin. This technique is ideal for individuals with high foreheads. Recovering from this procedure can vary on the patient and the technique used. However, stitches or staples are typically removed in 7-10 days and bruising and swelling should subside within a few weeks. Keeping your head elevated and using cold compresses should help ease the swelling. After a follow-up assessment, patients are usually able to return to light work activity within a week and no longer require their pain medication. Within three to four weeks, most patients are able to resume exercise. In many cases, an upper eyelid lift or blepharoplasty is also performed at the same time to further enhance the overall aesthetic result of a brow lift. Brow lifts are typically performed using small, minimal access incisions placed within the hair-bearing portion of the scalp. These incisions are very well hidden and, when fully healed, essentially unnoticeable. 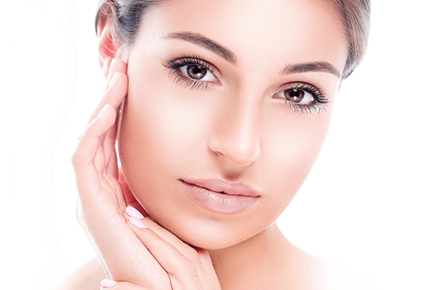 Brow lifts can also include some modification/weakening of the muscles that produce frown lines, producing a lasting and beneficial effect similar to Botox use in this area. The blepharoplasty, or eyelid lift, is capable of reducing puffiness, sagging and wrinkling of the upper and lower eyelids that add to a sleepy appearance. Weakened levator muscles are also tightened to create a lifted, refreshed appearance of the eyelid. The treatment is performed by making incisions along the natural, well-hidden creases of the eyelids and surgically removing excess skin, tightening muscles with sutures, and aspirating fat deposits. A brow lift may also be included as part of a facelift if your goals include total facial rejuvenation. Those who are presenting facial aging symptoms in the lower and mid-face region may benefit from a full facelift. Facial aging symptoms such as jowls, sagging, deep creases on the cheeks and sagging that breaks the jawline are best addressed by a facelift. The facelift is performed by removing excess skin from incisions along the hairline near the temples and behind the ears. Fatty tissue, underlying muscle, and skin are repositioned to a raised, youthful appearance. A combined brow lift and facelift is a complete facial rejuvenation treatment. Dermal injections are popular treatments for preventing facial aging and addressing trouble areas. Injections are quick treatments (usually taking less than half an hour per treatment area), offer instantaneous results for a lower cost, and do not involve significant recovery time. Patients can essentially return to their normal, daily routine as soon as their injection treatments are complete. There are two main categories for dermal injections: fillers and relaxers. Fillers are dermal injections such as Juvederm, Restylane, Belotero, and Sculptra. These each come in a variety of formulations that are typically made from synthetic versions of naturally-occurring materials in the body such as hyaluronic acid and calcium hydroxyapatite. Dermal fillers are great options for volumizing sunken areas such as hollow cheeks or deep nasolabial folds. The main drawback of dermal fillers is that the results are not permanent, lasting from 8 months to 2 years. Relaxers are injection treatments that prevent the formation of new wrinkles by relaxing muscle contractions that crease the skin. Botox is the best example of this type of injection and is one of the best choices as a wrinkle-prevention solution. The active ingredients in Botox limit muscle contractions that will over time cause permanent wrinkles due to the natural, gradual loss of skin elasticity. My personal injection philosophy is to provide my patients with a natural, youthful appearance without the “treated” look popular in the past. With treatments like Botox, you can preserve your naturally smooth, youthful skin and avoid unnecessary wrinkles. I take pride in my work and love seeing positive results in my patients. If you are considering this or a similar facial aesthetic procedure, set up a consultation and we can start taking the steps to a more confident you. Every brow lift treatment performed by me is entirely customized to deliver the best results that are appropriate to the patient. Determining which options best fit your body and goals is achieved during the consultation where, together, we can assess what works for you. At the end of the consultation, I will walk you through the different treatment options that are appropriate to your case and you will receive a personalized cost breakdown.